FIDE Trainer, WIM, Beatriz Marinello, is a world renowned coach, captain & player of the US Women Olympic Chess team (1994). She is a recipient of the prestigious Chess Educator of the Year Award by the University of Texas Dallas, an award that recognizes her outstanding contributions to chess in education over the years. Beatriz has made teaching chess to children a main focus in her life and continues to promote chess and education all over the world. In 2010, Beatriz was elected FIDE Vice President, the first woman elected to this position. In 2003, Beatriz was elected to be the U.S. Chess Federation’s (USCF) President, the first time a woman had ever served in that capacity. Beatriz has also served as the National Scholastic Director of United States Chess Federation (USCF) forging many friendships and establishing important contacts along the way. 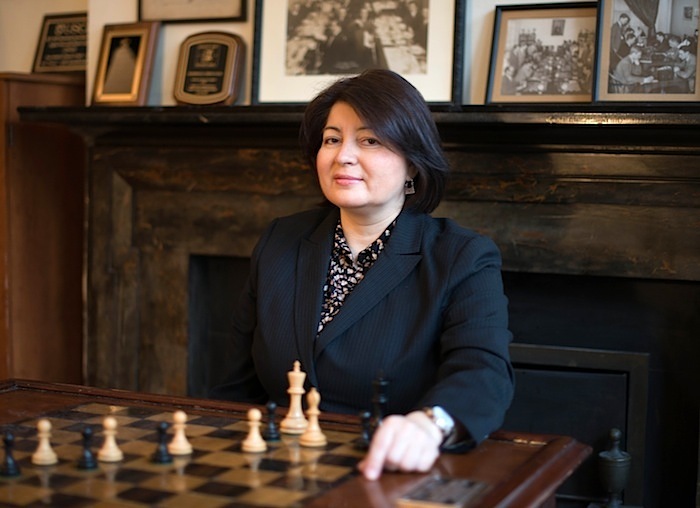 Beatriz is a Co-Chair of the United States Chess Federation (USCF) Scholastic Council, a former member of the FIDE Verification Commission, and a former General Secretary of FIDE Americas. Beatriz is also a Trustee for the U.S. Chess Trust. She has been involved in organizing National and International Chess Championships, Charity Events, and provides services for Non-Profit Organizations that help promote chess around the world.